LipSense started the long lasting lipstick revolution. LipSense by SeneGence International was the first or "premier" long lasting lipstick on the market. 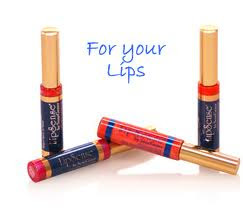 Many have tried to copy LipSense but none can match the thin, non-drying formula. It is the only long lasting lipstick that doesn't dry out your lips. That's why LipSense is absolutely the best, the number one long lasting lipstick available. Celebrities such a Christina Aguilera are devoted LipSense fans. 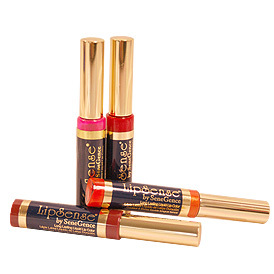 The premier product of SeneGence®, LipSense® is an amazing departure from conventional lipsticks, stains and colors. It should only be applied on clean, dry lips. Your perfect pout is waterproof and will not kiss-off, smear-off, rub-off or budge-off! We challenge you to put your pout to the test - kiss away! Create your own recipe for beauty and customize your color palate by combining shades that are rich and solid, sheer and shimmery, vibrant, shiny or frosty .First time? Please purchase LipSense in a set. Be sure to shop at MrsMay Lipsense.